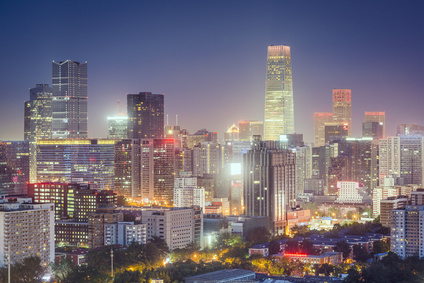 As a leading retained executive search firm in China, Ginkgo Search Partners has opened its first office in Beijing in 2015, after subsequently expanding our presence to Shanghai and Hong Kong. Working across a wide range of industry sectors, our executive recruiters in Beijing have earned their reputation as a premier executive search and leadership consulting partner to Chinese and international corporations, seeking to attract and develop exceptional leadership talent to their organization. Beijing is the capital of the People's Republic of China and regarded as the nation's political, economic, and cultural center. Located in the north of China, close to the harbour city of Tianjin and partially surrounded by the Hebei Province, Beijing serves as a major transportation hub and is home to the headquarters of many of China’s largest state-owned enterprises, including the big four state-owned banks. The Beijing Capital International Airport is the busiest airport in Asia in terms of passenger traffic and the second largest in the world. Our executive search firm in Beijing is located in the Chaoyang District, which is home to the majority of Beijing's many foreign embassies and growing central business district, which enables us to work in close collaboration with Chinese and international leaders to deliver the highest quality executive appointments across the country. Our executive search consultants are able to attract the best executive talent for our clients and act as a trusted partner for your strategic business needs. Our team of seasoned executive recruiters in Beijing provides executive search services in all seven of Ginkgo Search Partners industry practice groups. Contact our executive recruiters in Beijing!